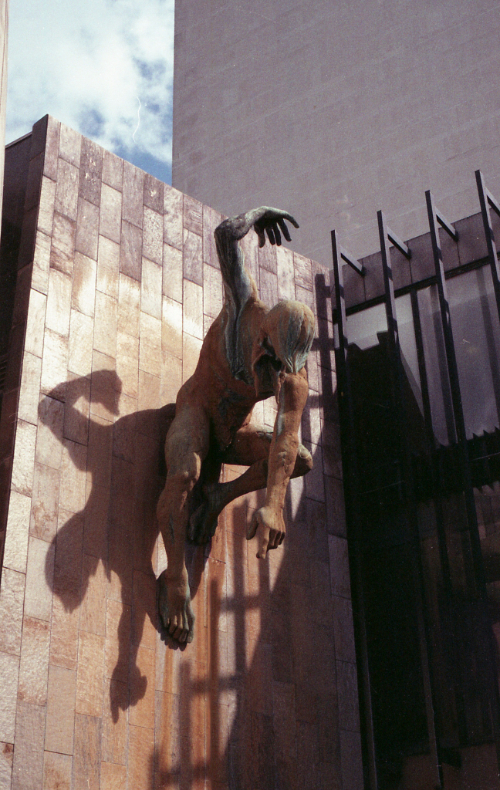 Who is the River God Tyne on the side of the Civic Centre? Newcastle and Gateshead are currently awash with adverts for the Great Exhibition of the North. The aim is to promote the art, design and innovation in the region now. But what of its heritage and culture? We’ve played host to the Romans, the Vikings, and indigenous British tribes. With that in mind, let’s meet the mighty River God Tyne! You can find him on the side of the Civic Centre. Newcastle City Council commissioned the sculpture and David Wynne completed it in 1968. He’s cast from bronze (the River God, not Wynne). Originally a darker colour, running water turned him green and brown. Originally a stream of water was supposed to trickle downwards from his raised right arm, but I can’t remember ever seeing it do that. He’s not the first representation of the Tyne as a River God. 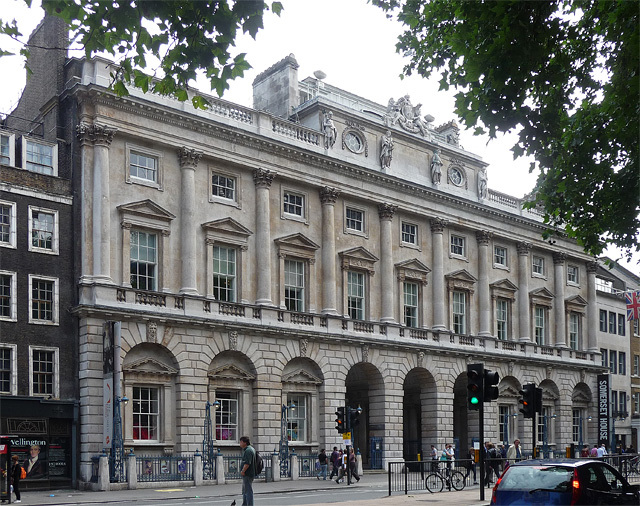 When Somerset House in London was rebuilt in 1786, nine ‘masks’ were placed along the Strand front. Sir William Chamber designed them to represent the Sea and eight English rivers. Somerset House © Copyright Stephen Richards and licensed for reuse under cc-by-sa/2.0. One of these was the Tyne! You can see it if you click here. The original mask features mining motifs – hardly surprising considering the north-east used to be an absolute powerhouse for coal mining. I’ll resist the urge to make any political comments about that *winks*. The importance of the Tyne to the coal industry explains its inclusion on Somerset House. At the time, Somerset House contained the tax office, stamp office, and many more public offices. These mining associations are missing from the 1960s sculpture. Instead, it draws more clearly from the wilder and more mythical history of the region. The 1968 version oddly hides his face. Wynne covered it with the hair that falls forward around his head. Apparently, his twisting pose should contrast with the modern architecture of the Civic Centre. Maybe it should make him look more groovy. I took this photo at night to see his face better. 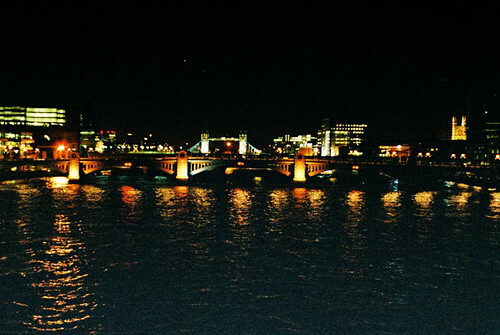 Seenewcastle.com refers to the Roman belief that all rivers were home to a deity that blessed the local community. Given the Tyne’s use for shipbuilding and its use for shipping goods, I’m sure the people of times long past probably agreed! Before that, the Romans had altars to Neptune and Oceanus on the bridge connecting their Pons Aelius settlement with the south. The Romans called such deities a genius loci, or protective spirit of a place. So in our case, Newcastle is under the protection of a primal water god! Ben Aaronovitch used a similar idea as a basis for his Rivers of London series, which sees the lost rivers of London like the Tyburn and the Fleet take form as the daughters of the formidable Mama Thames! I highly recommend the series. But back to the River God Tyne. The Romans of the Western Empire dedicated many altars to specific genii loci. In some places, these genii loci even received sacrifices. Naturally, these spirits only appeared in particular places! Over the centuries, the meaning of the word changed. Alexander Pope even introduced the concept of the genius loci into landscape design. Some now consider it to be the atmosphere of a place, rather than a specific spirit. We’ve probably all visited a place and felt a particular ‘vibe’ in the area. Is it so far-fetched that a primal space like a river might have its own spirit? 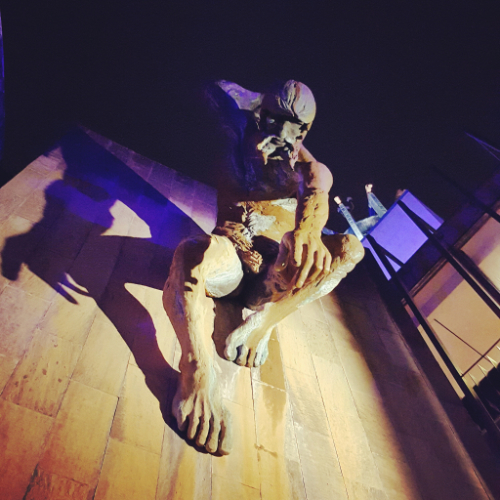 Have you seen the River God Tyne yourself? Does your hometown have a genius loci? 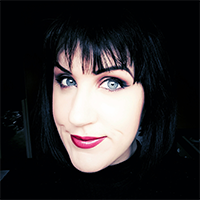 Sign up below and get notified every time I post a new folklore article! Cool sculpture we don’t have anything that interesting – we do have a teeny castle in our town though! I remember the stream of water running over him . Such a shame they never managed to get it running without all the rust! I grew up in the area, and went to school just around the corner from the Civic Center, on Eskdale Terrace. I was only 4 when the new Civic Center was opened, but I remember the River God sculpture. Every Saturday my parents went ‘up to town’, parking in the Civic Center lot and walking past the statue to Northumberland Street, so I was very familiar with it. I can tell you that there was originally water that ran down the statue, and dripped from his fingers to the basin beneath. Sometimes in the summer, Mum and I would stop and sit by the pool, and I was fascinated by the soaking wet long haired god on the wall! I think I vaguely remember the water being on – it’s a shame they turned it off! 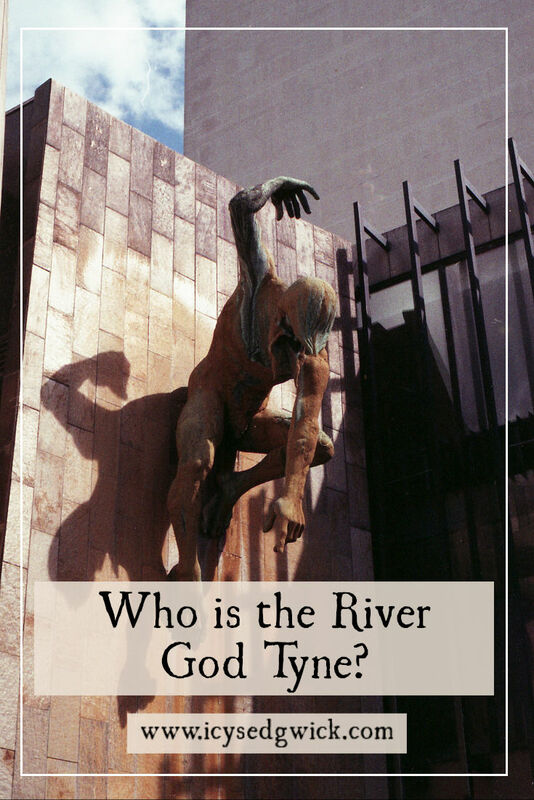 I did not know about the the RIver God Tyne and found it very interesting, thanks!